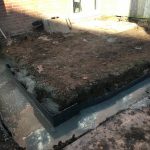 Our client contacted us regarding some foundation work for a new build property they were looking to build in their garden. First of all, we arranged to visit site to discuss the works with our client. 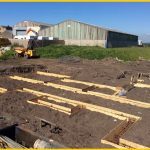 We agreed that piling foundations would best suit this new build project and confirmed a price for the works. We started the works the following working week. 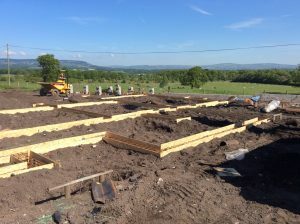 Firstly, we began by excavating the footings for the new build foundations. 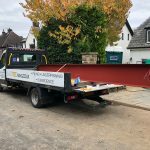 We installed our piling scheme as per our structural engineers design. 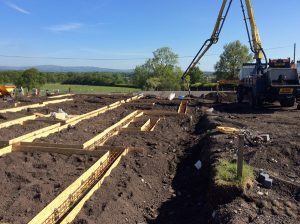 It included steel cased top driven piles and beams. Once completed, we contacted the local building inspector and arranged for him to visit site and assess the works. 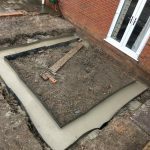 He was pleased with our works and as a result passed them, allowing us to begin the concreting works that same afternoon. Overall, it took a total of two working weeks to complete all of the works. 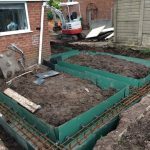 This included all excavation, piling and concreting works. 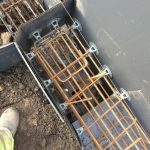 We provided our clients with copies of the structural engineers calculations (design of the piling scheme installed) and our piling log detailing the depths of each pile. In conclusion, our clients were pleased with the high standards and efficiency of our works. 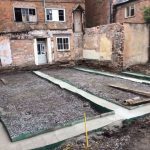 They are now looking forward to the building work starting on their new home. 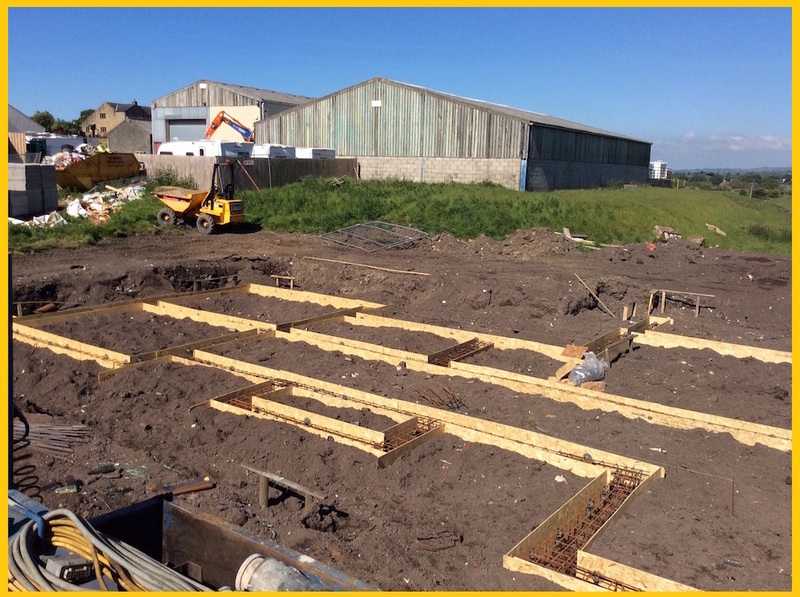 Below are some images showing our installed piling scheme for the new build foundations. Check out the view! 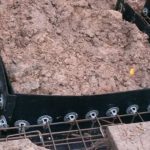 Furthermore, if you would like more information regarding any of our piling services please feel free to contact us. 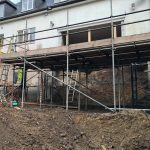 We will be more than happy to help with any up and coming projects you may have, whether is it for an extension or a new build home such as this one. 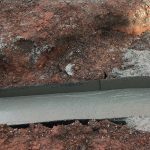 Visit our sister website, Underpinning Solutions, who specialise in underpinning and subsidence solutions, and property structural repair work.